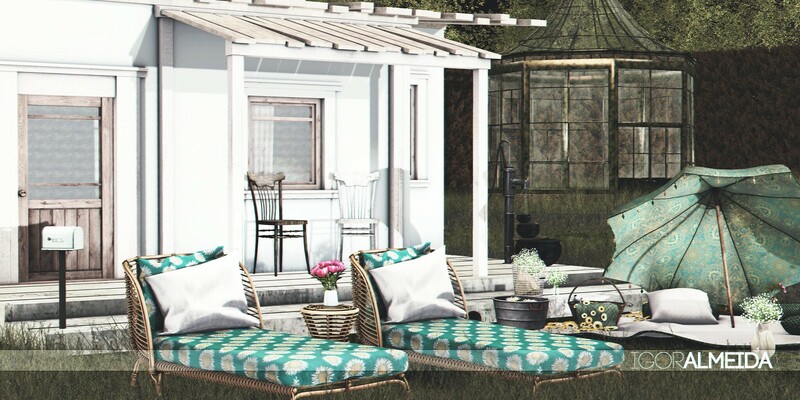 Serenity Style- Country Spring Retreat @ILLUMINATE New! DaD "Dejeuner sur l'herbe Fatpack" "PG" c/m V.1.0 @Bloom New! LAGOM - Mail box - Green @The Seasons Story New! *:..Silvery K..:*Shabby Chic(Chair_Brown. )15 @The Seasons Story New! *:..Silvery K..:*Shabby Chic(Chair_White. )14 @The Seasons Story New! *:..Silvery K..:*Shabby Chic(Gypsophila in basket)18 @The Seasons Story New! *:..Silvery K..:*Shabby Chic(Gypsophila in Bottle)16 @The Seasons Story New! *:..Silvery K..:*Shabby Chic(Gypsophila in pitcher)17 @The Seasons Story New! Emma Wicker Lounger (PG) CHEZ MOI @Cosmopolitan New! Emma Wicker Table CHEZ MOI @Cosmopolitan New! 01 RARE -Sorumin- Vintage princess GACHA -Peony Bouquet- @The Seasons Story New! Kei's Waterlily Tub @ILLUMINATE New!